Some fans prefer cheering on their team at the stadium, rain or shine, hot or cold, snow or sleet. For others, maybe smarter fans, there's homegating. It's the ultimate way to watch your favorite sports, in the comfort of home while enjoying food, drink and conversation. So when the weekend kicks off, gather your friends and stock up on ice - it's game time. The Margaritaville® Bali™ Frozen Concoction Maker® with Self Dispenser is the perfect pick for homegating and will quickly prove its worth as the MVP of the season. Not only does it automatically shave ice and blend up delicious frozen margaritas, coladas, daiquiris and more, it also remixes and dispenses drinks automatically at the push of a lever. You can count on the Bali™ Frozen Concoction Maker® to score points with friends as they can help themselves whenever they need a refresher. And you win since there's less bartending to do! Here are a few drink recipes that'll turn up the fun factor for game day. No game is complete without a brewski. Take a cold one to the next level, though, by mixing it with tequila to create a game-winning frozen concoction that's totally refreshing. 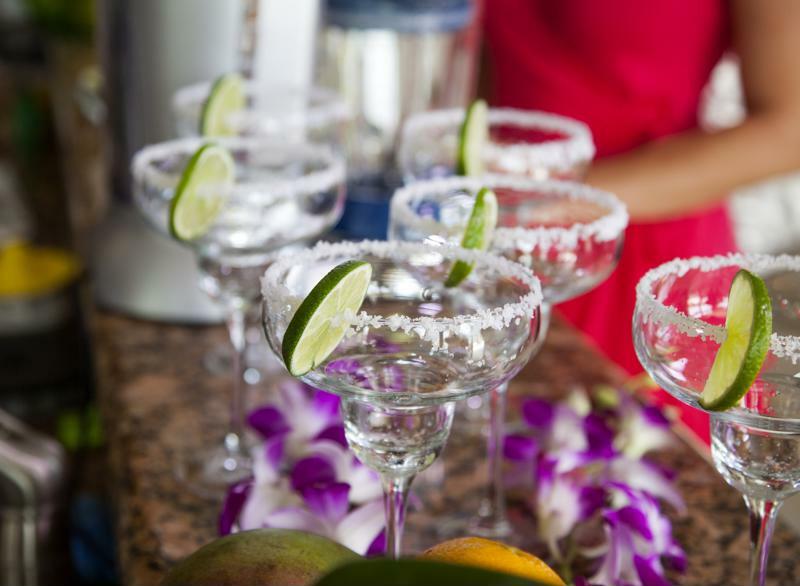 Add ice to the reservoir and all remaining ingredients to the Margaritaville® Bali™ Frozen Concoction Maker® with Self Dispenser and select the Ritas setting to mix the concoction to perfection. Dispense the frozen beer margarita into a tall glass and get back to rooting for your team. Line up delicious frozen concoctions for game day. For a different twist on "beer" concoctions, try this Margaritaville-approved version of a root beer float. With a dash of vodka, it's just the fun and creative drink your homegating party needs. Add ice to the reservoir and all remaining ingredients to the Margaritaville® Bali™ Frozen Concoction Maker® with Self Dispenser and select the Coladas setting to evenly mix the frozen concoction. Dispense into a tall glass and enjoy the indulgent treat while watching the game. You bring the frozen concoctions, and your friends will bring the spirit! Prepare for the first kick with a spicy-smoky frozen concoction that gets the party started. A mix of mezcal, minced jalapeños and fresh lime juice, this feisty concoction is sure to get you pumped for the game. Add ice to the reservoir and all remaining ingredients to the Margaritaville® Bali™ Frozen Concoction Maker® with Self Dispenser and select the Ritas setting to mix the frozen concoction. Dispense into a tall glass and get ready to party. Homegating means that there'll be lots of tasty frozen concoctions on hand, as well as an enticing spread of game day snacks. Think easy-to-eat finger foods, like buffalo chicken wings, cheeseburger sliders, and teriyaki chicken skewers, as well as spreads and dishes to dig into, like spinach artichoke dip and loaded nachos. For the décor, go big with streamers in your team's colors and pennants hung from the walls and foul flags to bring the spirit at your homegating party.